Directions: Budapest is divided into Buda and Pest by the river Danube. 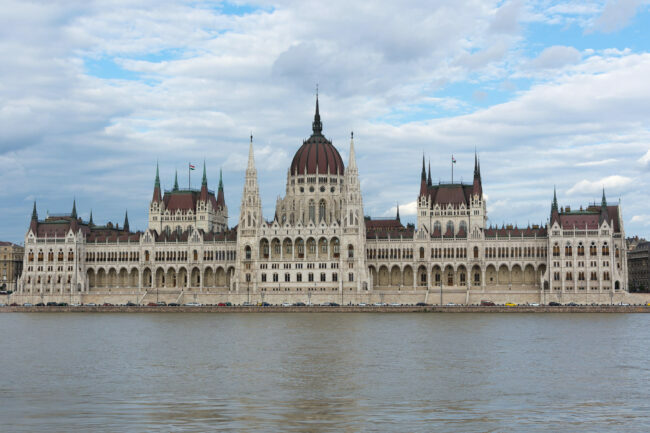 The Houses of Parliament, the most iconic building of the country, lies on the river bank on the Pest side, and can be photographed from several gorgeous and easily accessible spots, which are also fantastic photospots in their own right. For a frontal shot of the Houses of Parliament, the best spot is just across the river (Batthyany tér underground stop on Line 2, or Halasz utca if you’re looking for a parking spot). There’s a promenade all along the Buda side, so you have a lot of options to find the most interesting angle. It’s worth taking at least one full frontal shot – incidentally, with a 35mm lens the facade fits right into the frame. There’s a lot of room to set up a tripod as well if you’re going for a night shot. Watch out for bikers on the promenade when you work with a tripod – they tend to ride like there’s no tomorrow. The building faces West and gets a warm, lovely light around 5-8pm during the summer. At sunrise it’s backlit from the right (when facing the building). If you walk along that promenade (Angelo Rotta rakpart), you also get a great view of the Chain Bridge, or if you go northward to Margaret Bridge, that again offers a very nice angle view of the Parliament. To walk around the building and take close-up shots of the arcades and the back of the building, you will need to cross the river and alight at Kossuth ter underground stop (metro line 2) or park somewhere around Alkotmany street. 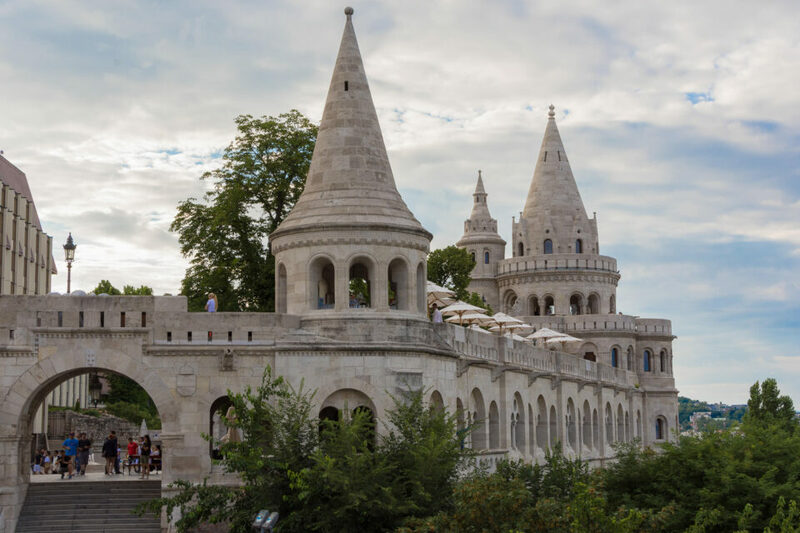 From the foot of the Chain Bridge on the Buda side the Castle District is an easy climb that will take you to Fisherman’s Bastion, the best possible spot for photographing the Parliament from above. It also offers a lovely view of the river and bridges. Note that Fisherman’s Bastion (think of a short ramparts) was designed in the same neo-gothic style as the Parliament, so they “match”. The Castle District itself is a very pleasant area to walk around, with further famous landmarks.